The Hoyo de Monterrey Hoyo Du Gourmet is an exquisite Slim Panetela, 6.7” (170mm) long, of 33 ring gauge, and comes in a 25 cigars box. This a slender, easy to smoke, deep Habano with a unique texture. Although all the Hoyo Especiales seem to have been made to replace formats which all good enthusiasts remember, the Hoyo du Gourmet is one of those which has best achieved its goal. It is enough to say that this is a Habano for the authentic gourmets of fine gauge cigars. 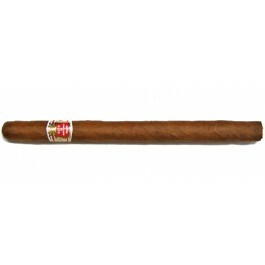 An elegant cigar made with an excellent blend of tobacco. It's be smoked very slowly to avoid heating it up.